Okay, so we know celebs love furry, cuddly pets as much as we do. We admire how Nico Bolzico is so protective of his dog Pochola and how much Heart Evangelista pampers her aspin Panda! Guess what? Kapamilya actress Yassi Pressman got a snake earlier this week! I know, not your typical pet, right? In an Instagram post, Yassi introduced her pet snake to everyone and thanked actor Michael de Mesa for encouraging her to get one. And just like an excited "pet mom," Yassi wasted no time by making an Insta account for her snake, which she named Fluffy. In just one day, the account has gotten almost a thousand followers! While we aren't sure what exact species Fluffy is, some comments suggest that Fluffy is an ivory pastel ball python. Check out some of Yassi and Fluffy's posts below. 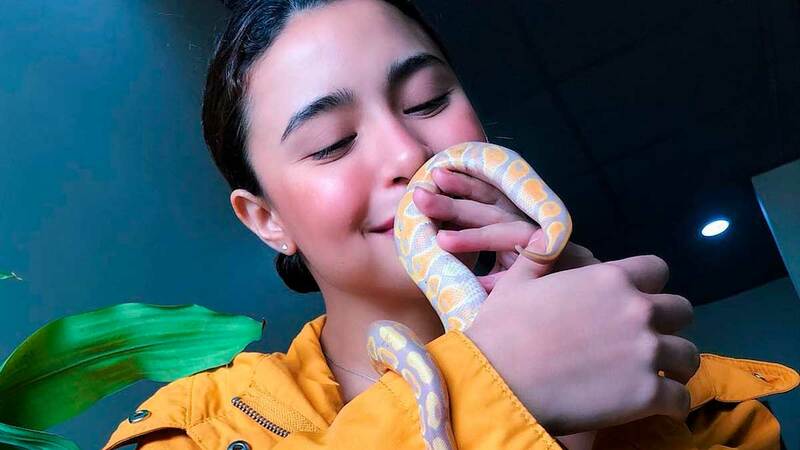 Yassi's Ang Probinsyano co-star, Coco Martin, also adopted a python named Matilda in October. Some fans have been actively commenting and reminding Coco and Yassi to be careful—after all, snakes have a tendency to...bite. An excited fan is even shipping the two snakes, suggesting that their ship name could be "Maffy"!